Silje Valde Onsrud is director of Center for Arts, Culture and Communication at Western Norway University of Applied Sciences, and holds a Ph.D. in music education from the University of Bergen. She teaches and supervises in the music education program and in the Ph.D. program Studies in Bildung and Pedagogical Practices at the Faculty of Education, Arts and Sports, campus Bergen. Her research interests include gender issues and social justice in musical practices and musical content, like song repertoir. 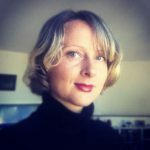 She is specialized in gender theory, qualitative research, ethnographic fieldwork, discourse analysis, and narrative inquiry. 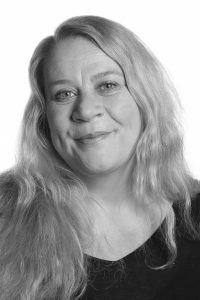 Tine Grieg Viig is currently working as an Assistant head of department at the Department of Arts, Faculty of Education, Arts and Sports, Western Norway University of Applied Sciences. Her research areas are music education, creative musicking practices and artistic research. She has been employed as a music educator in higher education and as a choir conductor, composer and arranger. Her PhD project is entitled The Dynamics of Creative Music Making: A Sociocultural Perspective on Learning in Creative Musicking Practices. 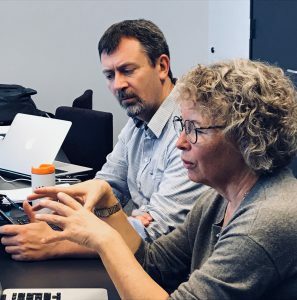 Sigrid Jordal Havre is Assistant Professor at Western Norway University of Applied Sciences, campus Stord, Norway, and a doctoral researcher of music education at the University of the Arts Helsinki, Finland. Her research and teaching area is game-based music learning, music and media technology, online music learning, and popular music education. In her doctoral thesis she investigates various aspects of learning in commercial video games, online game culture, and social networks. Kari holds a Ph.D. in music education from 2014, with the monograph ”Star Experiences or Gymhall Aesthetics? – A study of visiting concerts in schools”. 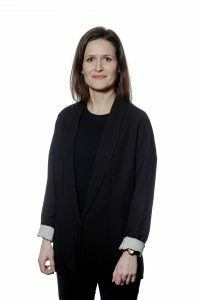 She is currently project-leader of an innovation project on Norwegian professional visiting concerts, “School and concert – from transmission to dialogue”(DiSko), which is founded by the Norwegian Research Council. This project runs for four years from 2017. Kari’s research interests are centered around communication processes between musicians and teachers in visiting music practices and musical partnerships, and she also researches the connections between quality conceptions and relativism in music education, especially addressing higher music education and community music education. She is a contributor to the IMTE – research project (improvisation in teacher education) in writings and research activities. Kari is appointed Norwegian national coordinator in European Association for Music in Schools (easmusic.org)for the years 2018 and 2019. Kari was the leader of a MA in creative learning processes from 2013-2016, and she currently teaches and supervises within this program. Holdhus, K. (2018). 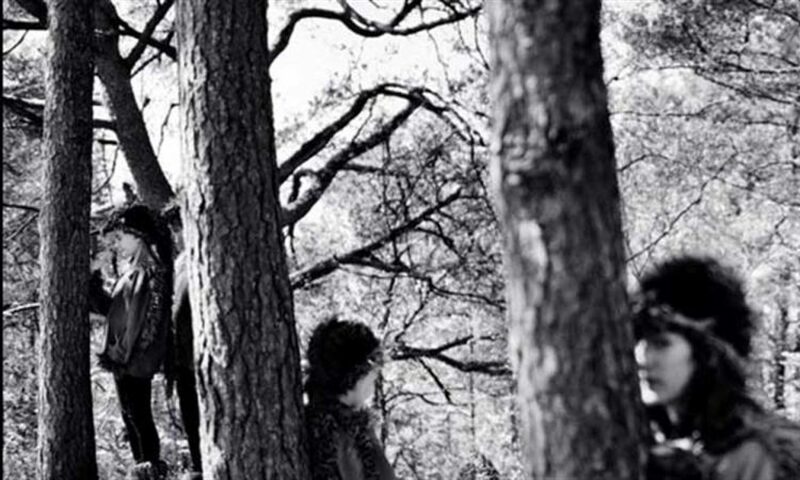 Teacher–Musician Collaborations on the Move: From Performance Appreciation to Dialogue. In Altering the Chord. Possibilities and Pathways for Musician-Teacher Collaborations, edited by Ailbhe Kenny and Catharina Christophersen. London: Routledge. 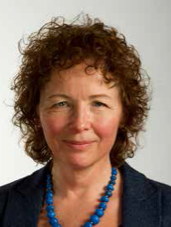 Catharina Christophersen is professor of music education and leader of the strategic research program “Arts, Creativities and Cultural Practices at Western Norway University of Applied Sciences at campus Bergen, Norway. She holds a PhD in music education from the Norwegian Academy of Music in Oslo. She has a background as a generalist music teacher in primary schools and has previously taught in schools of music and performing arts. She teaches and supervises music education students on undergraduate and graduate level. She has presented in international conferences and has published in international journals, volumes and books. Her research interests include music in schools, creative partnerships, popular music education and higher music education. Havre, S., Väkevä, L., Christophersen, C. & Haugland, E. (in press). Playing to learn or learning to play? Playing Rocksmith to learn electric guitar and bass in Nordic music teacher education. British Journal of Music Education. Christophersen, C. & Kenny, A. (eds) (2018). Musician-Teacher Collaborations: Altering the Chord. New York: Routledge. Christophersen, C. & Gullberg, A.K (2017). Popular Music Education, Participation and Democracy: Some Nordic Perspectives. In G. D. Smith, Z. Moir, M. Brennan, P. Kirkman, & S. Rambarran, The Routledge Research Companion to Popular Music Education (pp. 425-438). Abingdon: Routledge. 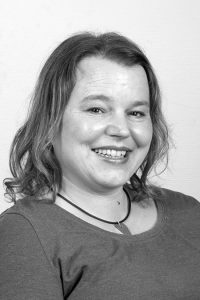 Katrine Heggstad is a a PhD candidate at Western Norway University of Applied Sciences (HVL), enrolled in the PhD programme Bildung and didactical practices since April 2016 with the project: Drama, Dementia & Dignity: Questioning borderlines in drama pedagogics. This is the research blog of the research group Culture – Criticism – Community (CCC). 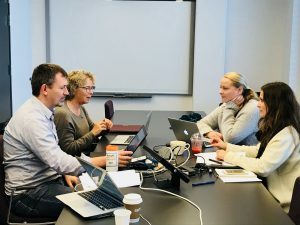 The group is an interdisciplinary and international research group that gathers researchers with a critical research interest.The purpose of our research is to raise critical discussion and challenge existing assumptions, ideas and practices within the field, thus ultimately contributing to change. Through various empirical and theoretical approaches, our research projects aim to explore arts education, cultural expressions, cultural participation, community arts and arts communities.Keywords: Culture, criticism, community, context, diversity, participation, equality, justice, and democracy. Members: Silje Valde Onsrud (leader), Kari Holdhus, Ingvild Digranes, Sigrid Jordal Havre, Tine Grieg Viig, Øystein Kvinge, Felicity Burbridge Rinde, Synnøve Kvile, Katrine Heggstad, Catharina Christophersen, Jonas Cisar Romme, Marit Loe Bjørnstad, Arnhild Liene Stenersen, Ailbhe Kenny (Mary Immaculate College, University of Limerick), and Judy Lewis (Thornton School of Music, University of South California). Ailbhe Kenny (ph.d.) is a lecturer in music education at Mary Immaculate College – University of Limerick, Ireland. Her research interests include communities of musical practice, musical lives of children of asylum seekers, teacher/artist partnerships, arts education policy and curriculum, teacher education, music and arts governmental policy, formal and informal music education practices. main research interests lie in the areas of critical pedagogy in music education, popular music listening and composing, and social justice in music education. The Polyphony of Musician-Teacher Partnership: Towards Real Dialogues?